The Outlaws biker gang was formed in west suburban McCook in 1935 and in Chicago in 1938 and now has spread worldwide-with chapters in the U.K. and Wales. 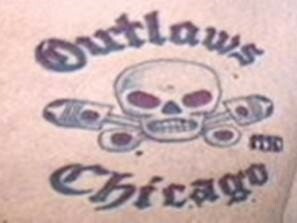 CHICAGO (WLS) -- Their motto is: "God forgives, Outlaws don't." Under those marching orders the Outlaws Nation has established 86 chapters in 20 states and more than 700 current, active members-the gang's base in the Midwest is its core. The biker gang was formed in west suburban McCook in 1935 and in Chicago in 1938 and now has spread worldwide-with chapters in the U.K. and Wales. According to federal agents the Outlaws in the Great Lakes region are the dominant biker gang. Outlaws rackets are primarily illegal drugs-meth, cocaine, marijuana and ecstasy. Like traditional organized crime they are also into arson, assault, bombings, extortion, fraud, murder, kidnapping, money laundering, prostitution, robbery, theft and weapons trafficking. The Outlaws have a South Side clubhouse at 25th and Rockwell and for years were at a North Side clubhouse on Division Street. Early this year, the North Side club was sold and that Outlaws chapter moved to a building in a West Side industrial park. In addition to the Joliet clubhouse, there are local headquarters in Pontiac, Kankakee, Peoria and Rockford, as well as numerous downstate Illinois counties. There have been periodic crackdowns on the Outlaws in metro Chicago. The last major law-enforcement effort was more than nine years ago. In July, 2008 Outlaw clubhouses in the area were raided by heavily armed FBI and ATF agents using armored vehicles. Outlaw members at the time said they were not criminals-just a group of guys who like motorcycles and beer. 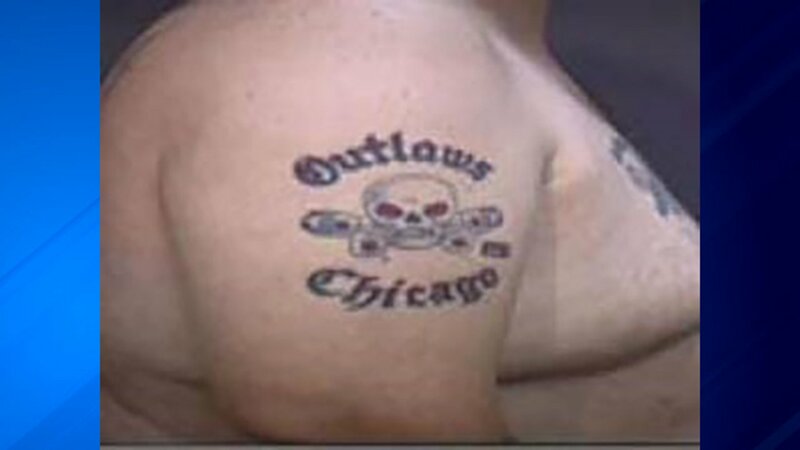 However, following those raids in 2008, the I-Team reported that investigators had uncovered a unique alliance between the Outlaws and the Outfit, Chicago's traditional Mob. According to former members, it takes a unanimous vote of each chapter to gain full benefits. Members are given patches that identify their membership. The club's colors include denim or leather vests with a black patch consisting of the chapter name, a skull and crossed pistons. Women affiliated with the group are called "Old Ladies" and may wear vests with patches that read "Property of the Outlaws."